2018 NJCAA Volleyball Championship - Four Vegas athletes go head-to-head in the first round. About a 17-hour drive east of the Las Vegas Valley will place you in Hutchinson, Kansas the exact location where the National Junior College Athletic Association’s Division I Women's Volleyball championship is hosted this year. Today November 15, four former Las Vegas players went head-to-head in the opening round of the national championship tournament. 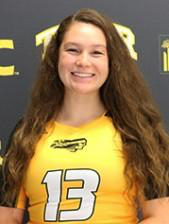 New Mexico Military Institute played Tyler Junior College in a four-set thriller with Tyler outscoring New Mexico in the opening round. Former Silverado Skyhawk, Mariah Morris, and former Rancho High School standout player, Karime Raygoza suited up for the New Mexico Military Institute. 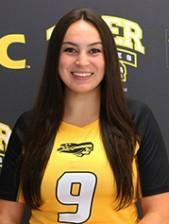 Raygoza recorded 7 digs and two aces for the Broncos. On the other side of the net was no other than the Olsen sisters, Anya and Abby, both former players from Green Valley High school. Anya recorded 10 kills with Abby recording 11 digs. Although this was the first round of nationals this isn't the first time that the two teams competed against each other. Back in September, the teams went head-to-head at the Tyler Junior College Tournament where New Mexico took home the win in five close sets (20-25, 27-25, 19-25, 25-22, 15-9). 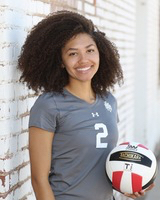 Raygoza will be graduating this winter from the NMMI with an associate’s degree in Biomedical Sciences which leaves her with a daunting decision on where to continue her volleyball career and education if she chooses to do so. “I don't know where I am going after graduating but I do hope to play back home in Vegas,” said Raygoza. The Olsen sisters were unavailable for comments following their match as they have to prepare for a quarterfinals match tonight against Southern Idaho. 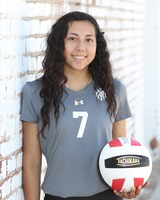 Dear Volleyball extends its good luck wishes to Karime Raygoza in the next step of her career, as well as the Olsen sisters in their match tonight.